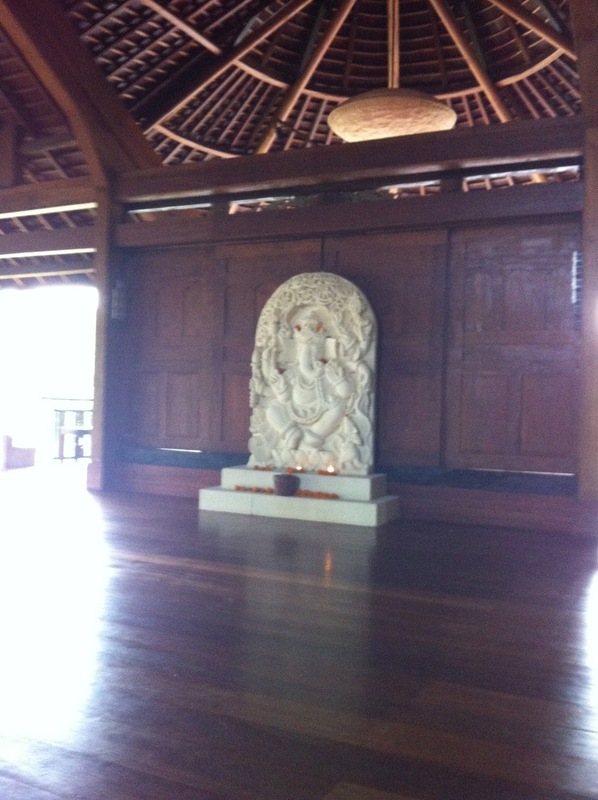 Just arrived back in Dublin, where my blog has decided to work again, so here is an update on all things yoga in Bali. The ashram did not prove a success. It felt a lot more like a homestay where meal times were fixed at unpleasant hours and activity started at 4am. Maybe it was because there was only one other guest staying, but we were not encouraged to participate in the prayer ceremonies. The one that I did attend, evening prayer, felt a little bit like sitting in on an Irish catholic family as they were saying the rosary before bed. Yoga, of any sort was not a big feature of ashram life and the one class I attended was really a very basic guided practice. So I took my jet lagged, sleep deprived self off to a hotel and sat by the pool for a few days while I made a new - far more expensive and therefore shortened plan. 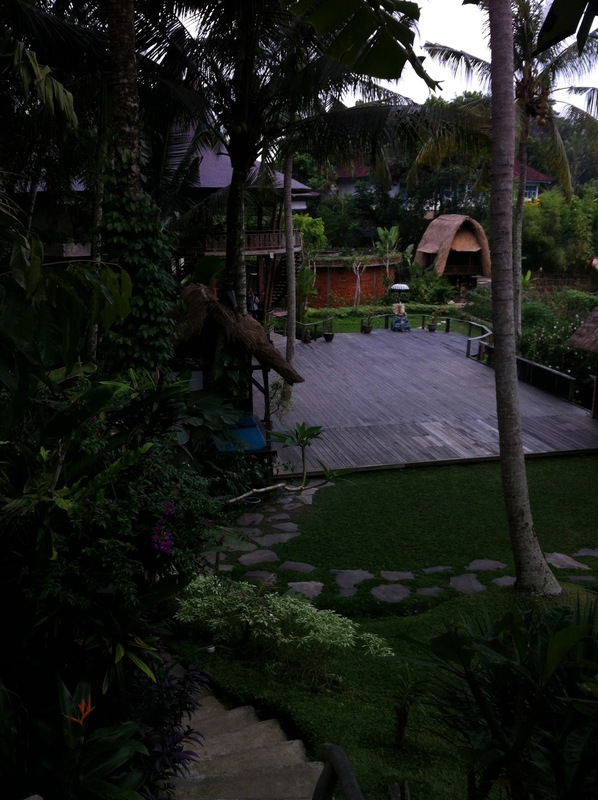 By far the best thing about ubud is the Yoga Barn, a huge compound with 2 yoga studios, organic cafe, Ayurvedic healing rooms, and workshops on everything from Kirtan to the intriguingly named hula hoop jam. I have just four days in ubud so I intend to make the most of them and take as many and as varied classes as possible. I went to a level 2 vinyasa the first afternoon, and I think it must be one of the strongest classes I've ever attended. Exhausting but invigorating. All of the teachers proved extraordinary and it was truly humbling to view the strength and elegance of their practice, especially from where I was standing, beet-red and sweat-soaked on a slippery mat. Lovely! I've made notes on all the classes that I attended which I'll post over the next few days. Hope they will be of interest to fellow teachers and in your own practices.